Have you refreshed Cydia’s sources recently? If you haven’t, then you are up for a very pleasant surprise. 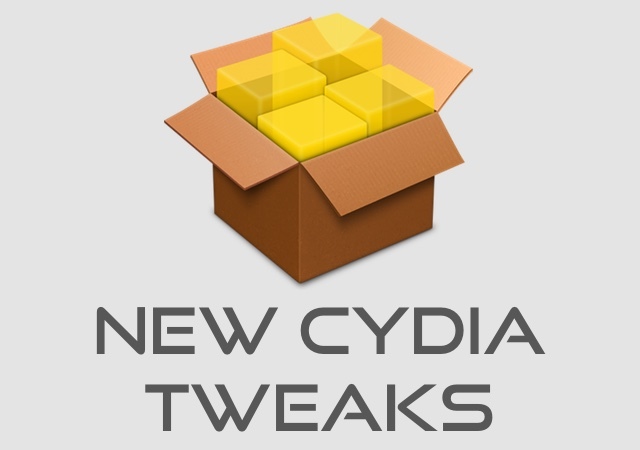 A bunch of awesome and useful new tweaks have been released in the jailbreak store, featuring full compatibility for iOS 9 and latest iOS devices. In this post we have highlighted the new hacks that you can download right now and enjoy on your jailbroken iPhone, iPad or iPod touch. Read on to learn about Ccircle, HideMeX, NoEmergency, Palin, Recents 2, Shortcutix and Sleipnizer for Safari. The new Ccircle tweak replaces the square shaped utility shortcut icons found at the bottom of the Control Center with the circle shaped ones. This matches their look with the icons in the toggle bar located on the top of the Control Center. You can download Ccircle for free. HideMeX (iOS 9) is a powerful tweak that makes it easier for users to customize different parts of their device. 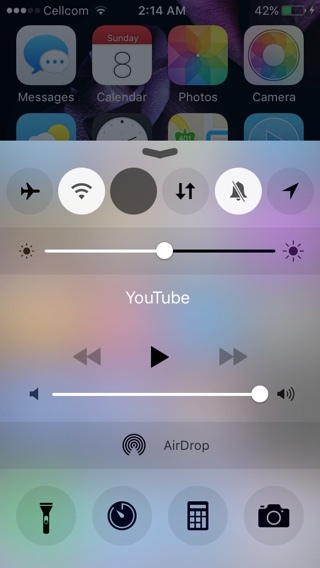 With this tweak you can hide certain elements from parts of iOS, change font colors, background colors, disable blur effects, customize animation, add features to the app switcher, change Control Center to better meet your needs, change different properties of icons, status bar, Notification Center, dock, folders and much more. HideMeX (iOS 9) is available in Cydia for $2.99. NoEmergency tweak simply removes the emergency button that you find on the passcode screen. It is a free tweak. Palin tweak makes the passcode buttons and the notifications transparent, giving this screen a much cleaner look as a result. You can download Palin tweak from Cydia for free. If you are looking for a quicker way to access your recent call records, then look no further and try the Recents 2 tweak. 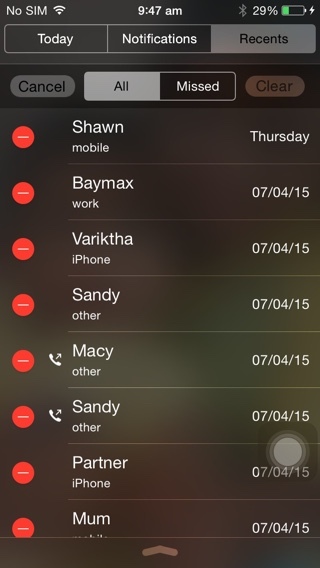 It adds a new tab to the Notification Center, which gives full access to all your recent calls, including dialed and missed ones. In addition to viewing your recent call history, you can also remove records from it. While Recents 2 makes it easier for you to access call records without unlocking the device, you can restrict the recents screen from appearing on the locked device if you have privacy concerns. You can download Recents 2 tweak from Cydia for $1.49. 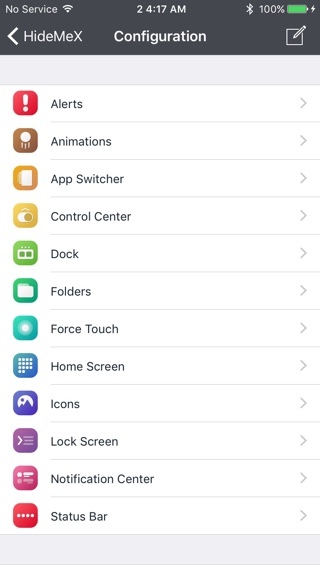 Do you want to customize the way icon shortcuts look on your iPhone 6s? Then try Shortcutix tweak. 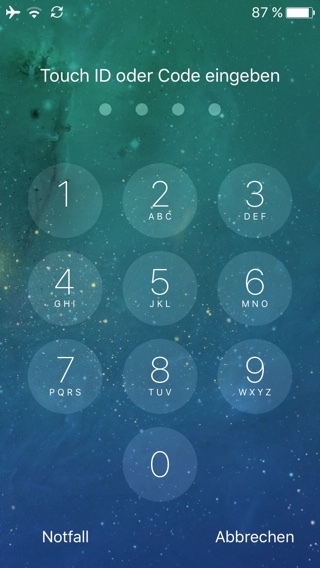 As seen in the screenshot above the tweak allows users to change the background color, font, title color, blur style, border color etc. With Shortcutix you can give a personalized look to shortcuts. You can download it for $1.30. 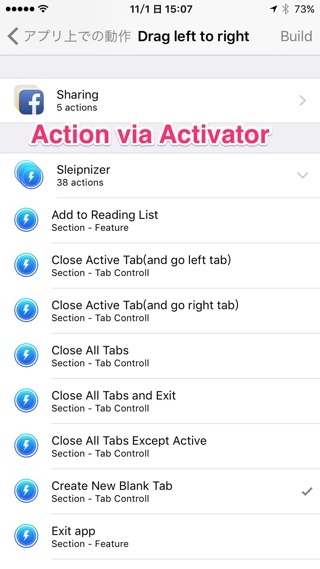 Sleipnizer tweak for Cydia brings customization gestures and actions to the Safari browser. With this tweak you can select gestures that are part of the tweak or those available through Activator, and tie them with actions of your choice. Some of the gestures you can enable include pull, tap, Action Panel, 3D Touch and Letter. You can assign any action to these gestures including opening a new tab, closing a tab, find on page, focus, reload and more. There’s a whole list of actions that you can choose from in tweak’s Cydia description. You can download Sleipnizer for Safari tweak from Cydia $1.99.